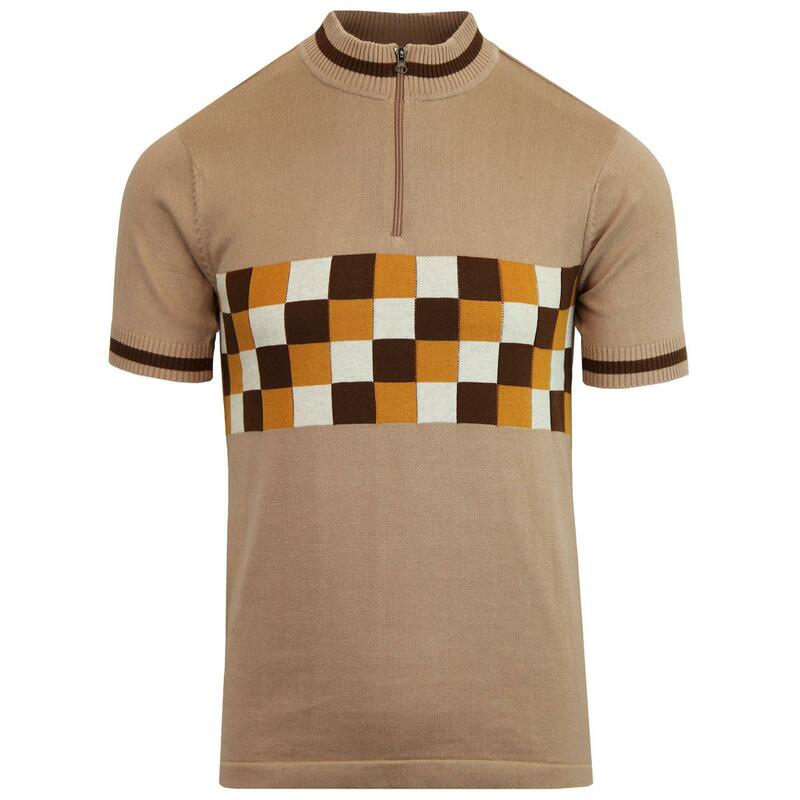 Madcap England 'Coppi' men's 1960s mod checkerboard knit cycling top in almondine. The colourful retro checkerboard panel detail is inspired by vintage racing flags and classic ska style. 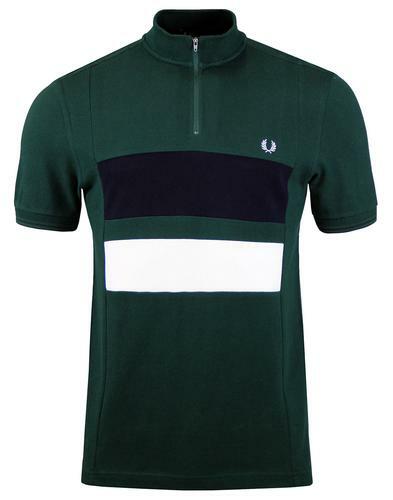 Traditional zip neck cycling with ribbed collar that features contrast brown retro tipping. The ribbed tipped detailing is replicated on the cuffs. 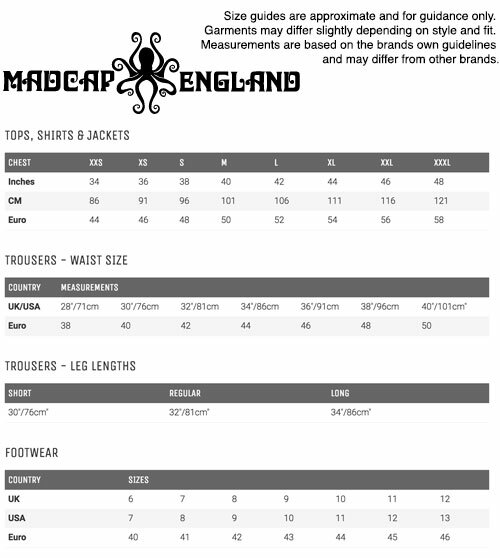 The Madcap England signature octopus embroidery sits on the left sleeve. 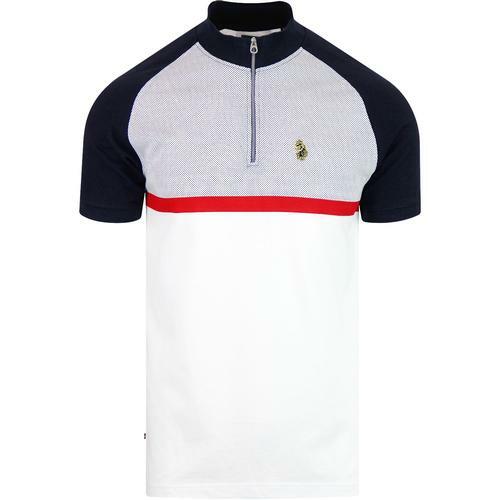 Crafted from a fine gauge knitted cotton fabric. 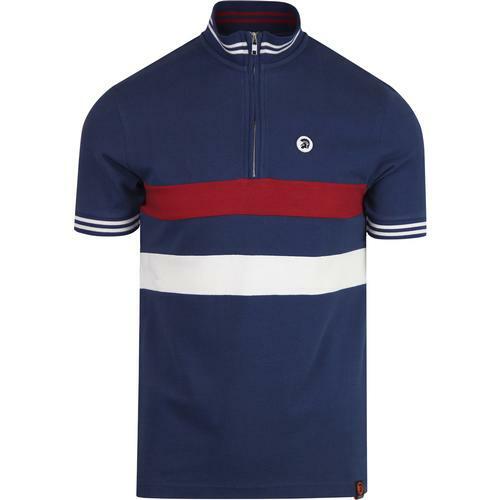 The Madcap England 'Coppi' men's mod cycling top - 'll Campionissimo' of all cycling tops! Madcap England 'Coppi ' men's 60s mod checkerboard knit cycling top. Ribbed funnel neck collar and cuffs with brown retro tipping. Octopus embroidery to the sleeve.